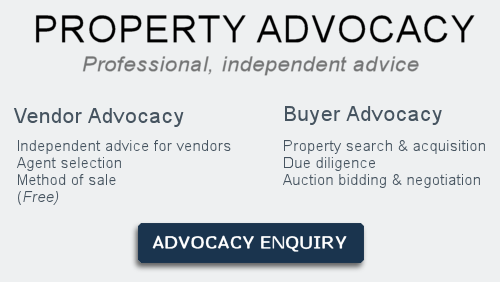 A mixed bag over the weekend, the 1011 reported auctions above may not really reflect current market conditions. You see the amount of auctions expected to go to auction over the weekend was meant to be 1250 but with what looks like a 25% difference between actual and reported the 77 per cent clearance rate looks higher than it should be. We will gain a better picture of the Melbourne market later this week as more results are collected. What seems to be noticeable though is that volume numbers are still up (similar to last year for the same time) but recent clearance rate trends (nearing 80 per cent) seem to be waning. Concerns from some economists are beginning to make media headlines and further erode the already fragile consumer confidence. Recent economic growth figures measured as GDP, show the Australian economy shuddered to a grinding halt, from 2.4% last year to 1.5% in the opening months of this year. While the country does not to appear to be at risk of a technical recession yet, weaker consumer spending, a fall in iron and coal exports and the sudden collapse in new construction work, have all weighed heavily on the nation’s economic growth numbers. This in turn has impacted retail spending which has further placed pressure and led to closures of major retail outlets, the latest casualty being Topshop. Consumers are beginning to tighten their belt on spending as a result of high debt levels, economic uncertainty, underemployment, the banks lifting interest rates and the clamping down on property investors, in particular foreigners. Discretionary spending will become the biggest casualty here, this unfortunately will impact the daily coffee and ‘smashed avo’ intake and therefore the local trendy café! New cars, holidays and luxury items will all take a hit as those who have experienced the ‘wealth effect’ due to rising asset prices in property and shares contemplate their next move or become overexposed to debt and make haste to repair their situation. The thing to note in all this is that we have experienced this sort of downturn before over the past 7 years. By my count it has happened at least 3 times, each time both Sydney and Melbourne property markets have continued unscathed. Will it be the same again? The big difference this time is that as a result of tougher lending conditions introduced by APRA property developers have struggled to finance new projects. Now at its peak, construction is on its way down taking with it a huge workforce and massive economy. Recent Budget projections (by Treasurer Scott Morrison) predict a growing economy leading to a lower unemployment rate and higher wage growth but where are the jobs going to come from and when? The proposed infrastructure spending cannot come quick enough. Some economists have already begun calls for Reserve Bank to drop the cash rate further possibly by years end. While the major banks hit with the bank levy have indicated the $6 billion cost will be passed onto every customer as a 0.2% increase on their loan, cheers! I guess when you control 80% of the mortgages in Australia you are in a privileged position to do that. The take out here is that if you are in a privileged position to buy a property consider your options very carefully and take action while banks are still lending. Economic conditions and lending criteria are both changing very rapidly. We were recently engaged to help a young family trade up to their next home from Box Hill to Surrey Hills. Our initial job before making any attempt to buy their new place was to gain an estimate of selling price for their curent home before going to market. Which we achieved with the assistance of a local agent. The next job was to negotiate a great price on a home they had fallen in love with but had passed in at auction. Although negotiations were very tough and protracted we secured the property and managed to save our client a whopping $90,000. As part of the negotiations we also made sure the settlement date worked to allow for enough time to prepare their current home for sale. We made a point of discussing at length with the agent who the likely buyer might for the property, was it a family looking to move in or a developer? Both options were a reality but home buyer was more likely to pay a higher price. So we undertook the task to make the property look its best which included repairs to weatherboards, windows, painting inside and out and making over the garden. As is the case with every property we undertake to sell, we use our tried and proven tradespeople. The work was done professionally, on time and immensely improved the value of the property. Prior to auction the vendor’s expectation on price was within the advertised price range $1.5-$1.6 mill. 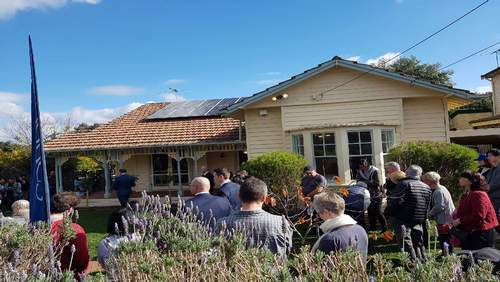 On auction day and in front of a crowd of 80 onlookers the bidding gained momentum and stormed past the reserve price eventually reaching $1.76 mill. A great result! Just would like to express my sincere gratitude towards your service again. I have sold two properties both through the help of Peter. He has been very professional and a wonderful person to work with, and he would provide me with recommendations and improvement tips to maximise my sales return throughout the campaigns. Every property sale has its own difficulties, and on both occasions of my property sales, we had to overcome their unique obstacles, but Peter was superb at managing difficult situations and would come out winning for his client. In all honesty, there might be a difference of opinion at times, but Peter is always willing to work hard and stick it out for his client to achieve the best possible result. I wouldn’t hesitate to recommend Peter to other vendors!